The future is a place for advancements and prosperity, the ideal place for new technology to be invented and implemented. Out of all things, I am a big advocate for mental health. If I were to design new neuroscience related technology, I would create something that would help ease panic attacks. My plan is to engineer a microchip that is attached to the lobes and the amygdala. This microscope will be able to record how fast neurons fire action potentials and what other parts of the body are being stimulated. During a panic attack, an individual may undergo a series of actions and emotions. Physical symptoms of a panic attack include heart palpitations, shaking, and tightness of the chest. Conditions such as these encourage anxiety to begin, initiating the “flight-or-fight” response. The amygdala is responsible for emotions and the frontal lobe functions in logic, decision making, and higher cognitive reasoning. These structures are greatly impacted by occasional or frequent waves of intense emotions. The microchip I have designed will measure the activity of neurons and to where these signals will be sent. If we can identify which regions of the body are being stimulated or damaged. This information can be directly taken from the microchip, which I have designed to be removable. 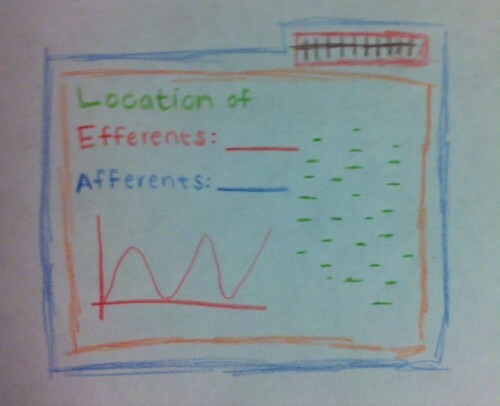 It can inserted into a computer and then the information can be charted. The reason I choose to invent technology that deals with mental illnesses is because I feel like that even though there has been medication and other treatment options available for people suffering from panic disorder, I feel that it is not effective. Most often, people who have panic attacks cannot exactly express what they feel or how their minds become clouded. If technology such as this existed, then it would much easier to track which systems shut down and which ones send unnecessary “flight” reactions. An invention such as this may take a while to be brought to life. Sometimes, concept such as mental illness need time to be explained to the general public. Anxiety, panic, depression, and others are considered cries for attention, or the people who suffer them are still children who need to grow up. But these are all stereotypes, pretense. But sometimes a little effort goes a long way. With much more understanding, advancements regarding effective therapy can be made. It may seem far-fetched, but I hope my technology will become available for everyone to use, learn, and benefit from. This entry was posted on Friday, August 1st, 2014 at 5:21 am and is filed under Sci Fi Neurotechnology. You can follow any responses to this entry through the RSS 2.0 feed. You can leave a response, or trackback from your own site. This is great!! There is SO MUCH to learn from mental disorders, and I think that the point you made about people not seeing them as actual disorders is very real. Maybe if we learned more about differences of what’s going on in the brains of patients having panic attacks it would be easier to explain to the general population that they are very real. It would be cool if your chip could also send a feedback signal to inactivate regions that become overactive during panic attacks, sort of like a pacemaker device. I love this! I think it’s really interesting that this device can be easily removed and the information can be extracted from it. I hope that a device like this really will be created someday, it could help so many people. As someone who has to take medication twice a day to control panic attacks, this would be greatly appreciated!